The Australian wine market has always been dominated by local producers (and rightly so) with the import component largely ruled by New Zealand, France and Italy. And while the wines we are importing from the big three global-producing countries are famous for quality and eminence, they are not well known for stylistic innovation or varietal experimentation. New Zealand and Western European wine sales are still very strong here, but for how long? When a bottle of red was passed around my father’s table, it would undoubtedly have been Shiraz, and someone ordering a glass of the house white at almost any bar could, until recently, safely expect a glass of Sauvignon Blanc. This almost industry-wide homogeneity has been frustrating, but the light at the end of the varietal tunnel is getting much brighter. The last 20 or so years has seen a slow but steady revolution in Australian wine bars, restaurants, bottle shops and vineyards. This quiet but implacable growth owes its momentum to several forces, all of which have made a conscious effort to look beyond the immediate whims and demands of the comfortable yet easily intimidated consumer. These brave few have scoured the earth in an effort to liven up and rejuvenate our dining tables and trendy wine bars. Across the country courageous importers, sommeliers, retailers, journalists and vintners have put their money and reputations where their mouths are; and now the range available to the curious drinker in Australia has grown exponentially, and I for one thank them. We in Adelaide are particularly lucky to have Liinaa Berry of 2KW and Shaun Lau of Orana, two somms who have embraced Austrian varietals. Dan Traucki of Winestate Magazine has committed more column inches to Gruner Veltliner than anyone else I know, and importers such as Cellarhand and Vinous Imports have spent years chipping away at our resistance to anything difficult to pronounce. Until recently the only place adventurous drinkers could find alternate varietals and styles was the boutique and independent bottle shops. For a generation now Adelaide’s Edinburgh Cellars, East End Cellars and Stirling Cellars have been challenging the status quo and offering a range of depth and quality. Nicks Wine Merchants and Blackhearts & Sparrows serve the Victorian and Canberran markets faithfully and Prince Wine Store keeps Sydney on the cutting edge. The large supermarket-style and online retailers have also played their part in bringing alternate varietals and the traditionally ignored wine-producing regions to the public palate – Dan Murphy’s ranges a few wines from my friend Gerhard Pittnauer and a selection of Domäne Wachau. The online giant Vinomofo has also thrown its weight behind the cause and it is two of their wines that inspired this article. 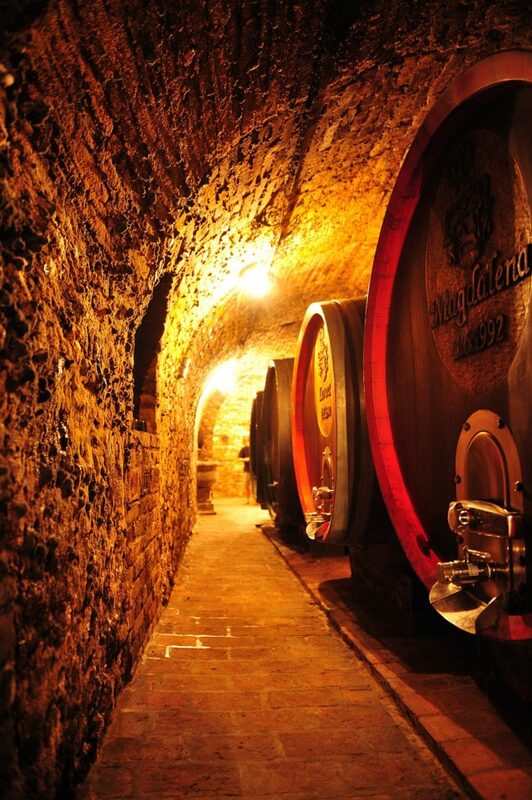 Weingut Allram from the Kamptal wine region in Austria is a multi-generational family business with three tiers of kin actively involved on a daily basis. 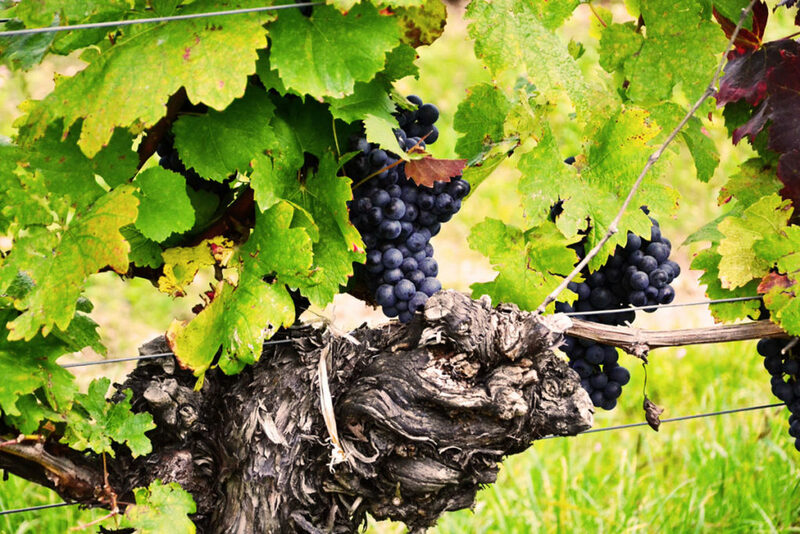 Like the other few houses who have earned the right to display the prestigious Erste Lage or “Grand Cru” insignia on their bottles, they know that all great wines begin in the vineyard. They see themselves as custodians of the land first and vintners second; every effort is made to care for each vine thus providing the best vehicle for the terroir to express itself. A “less is more” attitude in the winery allows each bottle to stay on message; to speak of the warm days that slip into chill nights, of the cool dark slate hidden below layers of calcareous loam and loess, and of the steady hands which care for each vine with reverence and respect. Lorenz Haas-Allram took the wheel in the cellar from his father Erich in 2015 and his first few vintages in charge indicate he will be a steady pair of hands. He has held firm to the family’s viticultural and vinification philosophies and continues to blend ancestral experience with modern techniques and technology. The 2016 “Renner” Gruner Veltliner is true to form; this wine is all about purity and structure. Apple, pear and white stone fruit ring like a bell while a delicate and faintly nutty bass line chaperones this orchard orchestra across the palate. There are a few common denominators in Gruners of this quality and the acid is one of them; this is a crisp and flinty wine that, while delicious now, has me rueing not ordering more. I predict this wine will age with grace and those lucky enough to sample it in another 10-12 years will be rewarded with a glass of pure sophistication and textured elegance. This wine will sing with Coffin Bay oysters with just a twist of lemon, crunchy veggies in a light tempura batter or a good old fashioned roast chicken with all the sides. The Wellanschitz family produced their first Burgenland Blaufrankisch over fifty years ago; several generations have since shaped the business but the original vision has never changed: Only the best will do. A member of the family is always personally involved in every step of the process and the firm never buys in fruit or wine. I spoke before of certain qualities and philosophies being shared by many of Austria’s top houses; a deep respect for the terroir, scrupulous fruit selection and a light touch in the winery all mark out the elite producers and Weingut Wellanschitz deserves its place in such company. Their blocks are peppered across Mittelburgenland and cover a diverse range of sites; each selected for its unique terroir and voice, which is then allowed to say what it wants to say. The “Well” block is a relatively flat site consisting of rich heavy clay with pockets of ironstone and is situated in the village of Horitschon, only a few minutes from the winery in Neckenmarkt and close to the region’s largest centre, Deutschkreutz. 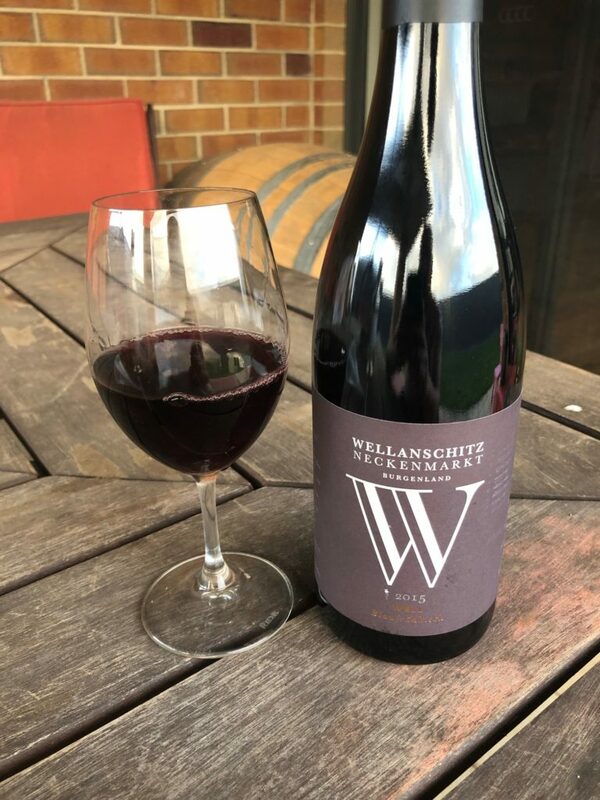 This article is all about the growing diversity available to the Australian drinker and the 2015 “Well” Blaufrankisch is a point within a point; this wine will provoke and intrigue even those who consider themselves to be “Blau literate”. If Muhamad Ali could “float like a butterfly and sting like a bee’’, then this would have been the wine for him. The 2015 “Well” has the waistline of a Pinot or Syrah but delivers an aromatic jab and a tannin hook. Blackberries and cherries make up the primary fruits but don’t fret, there is tannin for days. This is no fruit salad; delicate oak and extended maceration have imparted a balance and sophistication that makes for pleasurable drinking now but hints at the treats that will reward the patient. If you were to put this wine down for another 10-12 years (as I fully intend to do), I suspect you will have a table mate as charming and engaging as any Burgundian. Game meats such a venison, duck or braised rabbit will pair beautifully and if you were to support the protein with roasted field mushrooms, onions and beetroot on a polenta foundation, than I can guarantee you will have to set at least one extra place! I promise I will bring another bottle. As attitudes evolve and horizons broaden, the experiences available will inevitably multiply. The Australian wine scene was once called stagnant and boring, but with the help of the brave few listed above and numerous others, there is hope. I delight in not being able to recognise or sometimes even pronounce all the varieties I can now source at my local bottle shop or at the click of a mouse. It is incumbent upon all of us to help lift the veil that so often scares the drinking public back into the arms of the familiar and tired. We now have an arsenal brimming with new weapons with which to titillate and tease, from Assyrtiko to Zweigelt, and I am very excited about the direction our industry is heading in. I look forward to new challenges, to sharing something new and learning right along with you. 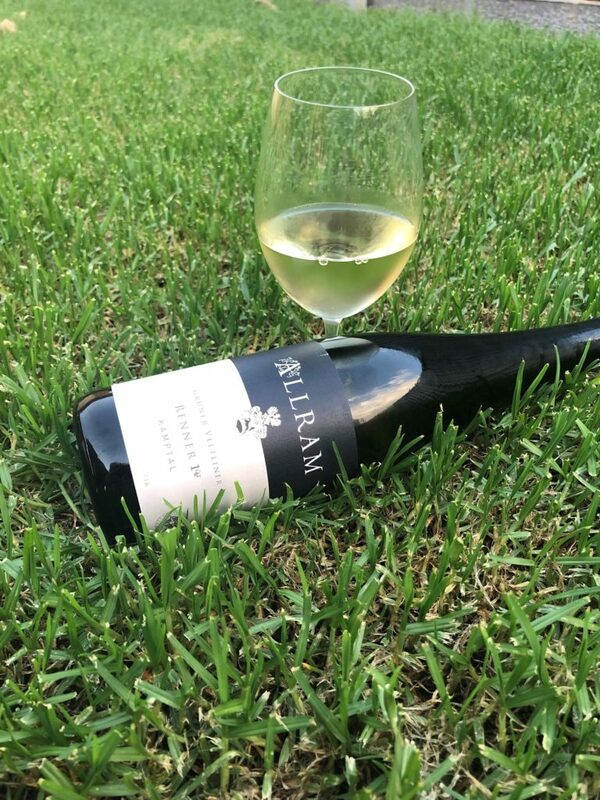 This entry was posted in Adelaide Hills, Adelaide Hills best Cellar door, Adelaide Hills Gruner Veltliner, Adelaide Hills wine, Blaufrankisch, cool climate wine, Hahndorf, St Laurent, Uncategorized, wine, Zweigelt and tagged Adelaide Hills, Adelaide Hills wine region, Blaufrankisch, Gru, Gruner Veltliner, Hahndorf Hill Gruner Veltliner, Zweigelt. Bookmark the permalink.